Joining the UNC Nutrition Research Institute in 2010, Dr. Martin Kohlmeier serves as faculty and primary investigator in the NRI Nutrigenetics Laboratory. He focuses on laboratory diagnostics and nutritional genetics. With more than thirty years of experience in nutrition research, he has developed novel biochemical methods for the assessment of dietary intake and nutrient adequacy. Dr. Kohlmeier’s research explores how to help individuals safely navigate daily food choices and how those choices might affect cancer risk. Dedicated to helping the public benefit from recent advancements in genetics and nutrition, Dr. Kohlmeier uses this new technology to read the body’s DNA blueprint down to very fine details. His goal is to translate this data into practical directions for people’s health. Currently, he is developing software that can use detailed genetic information to tell consumers which foods are healthiest for them. Notably, Dr. Kohlmeier authored Nutrient Metabolism, a textbook describing how the body handles about one hundred important compounds in food, from alcohol to zinc. The textbook outlines the major food sources of these compounds, and additional related information, such as our chemical senses, appetite and thirst, and the nutrient path from food to the using body part. The strength of the book is that a rich collection of information on each of the food ingredients is easily accessible in one place, making it a powerful resource for researchers, health professionals, and anyone needing nutrition facts at their fingertips. Dr. Kohlmeier earned doctorates in medicine, biochemistry and clinical biochemistry from Heidelberg University and Freie Universität, Berlin, and is the lead author of numerous online nutrition courses for healthcare professionals. 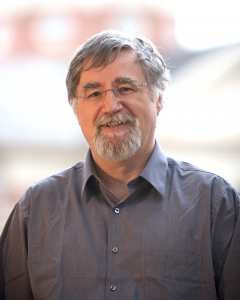 In addition to his role at the UNC NRI, Dr. Kohlmeier maintains his appointment as a Research Professor with the Department of Nutrition, UNC-Chapel Hill, School of Medicine and School of Public Health and is also a Visiting Fellow at Wolfson College, Cambridge University, England. 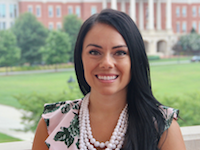 Jaina joined the UNC NRI in June 2018 as a Metabolic Chamber Monitor and in August moved into a new role as the Clinical Study Coordinator. She completed her undergraduate degree in Health Sciences at Indiana University - Kokomo in 2015 and her master’s degree in Public Health at UNCC in May of 2017. In her spare time, she enjoys traveling and photography.